You ace your speech and it feels so great! Is there a word for that feeling of verbal empowerment? Our ability to communicate articulately and confidently is not only the single most pivotal skill that can get us what we need out of life, it is life affirming. Yet fear often gets in the way. Surveys say that our fear of standing up in front of a group and talking is so great that we fear it more than death! The truth is, no one is born a great communicator. 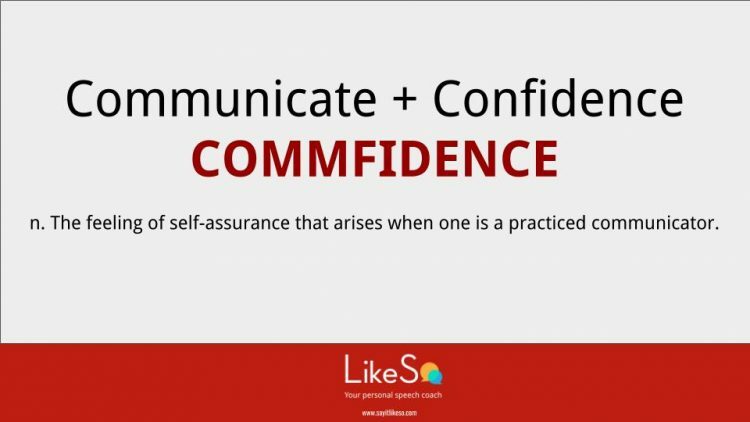 Like mastering all skills, it takes practice, awareness, and confidence! We take guitar lessons, we hire golf pros, we go to the gym – we put effort into improving so many aspects of ourselves. How about training to be a powerful, persuasive, articulate communicator? The rewards are so sweet! noun. 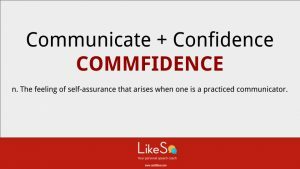 The feeling of self-assurance that arises when one is a practiced communicator.